This is Augustine’s most famous work, and it is on himself no less! Oxford University Press, Oxford, England: 1992. In this new translation the brilliant and impassioned descriptions of Augustine’s colorful early life are conveyed to us in the English language with accuracy and art. The Church Times called it “A masterpiece beyond classification.” The Times said, “If the Latin is a “work of high art”, so is this translation.” I agree. This is a valuable copy under the heading of Oxford’s “World Classics” collection of one of the greatest historical autobiographical writings on spiritual repentance and renewal. Augustine traces his “restless” life through and describes his life as a lost soul, how he was converted, and then the subsequent change in his conversion. He moves from the Algerian farm to the edge of the corridors of high power of the imperial count in Milan where he met the famed Ambrose and heard and was very influenced by his preaching. His mother Monica prayed fervently for his conversion and was able to see the fruit of those prayers in Augustine’s life when God arrested his soul. Then Augustine would be known as Bishop Augustine of Hippo, one of the most prominent and influential writers of the early church (he wrote more volumes than many could read in 20 years). Many of the puritans quote Augustine’s books countless times and stood on his shoulders upon such doctrines as Predestination and Election, sin and grace, and even his obscure passage concerning justification by faith alone. His Confessions are divided into sections chronologically by moving through the periods of his life. Book 1 (Augustine and many of the early writers used “Books” instead of “Chapters.”) pertained to the early years, Book 2 – Adolescence, Book 3 – Student at Carthage, and so on. His book is an extension of the premise “You stir man to take pleasure in praising you, because you have made us for yourself, and our heart is restless until it rests in you.” In the exposition of this statement Augustine has penned a masterpiece. 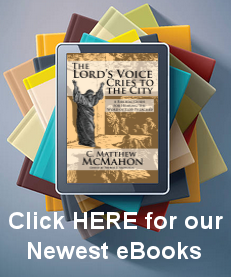 It is both theological, biographical and devotional. This is a book to reread each year to gain help in understanding how to examine the Christian’s own soul. I would also recommend reading it as a means for family worship and devotion. The testimony of Augustine for young men and women who deal with lust or sexual pressures would do well to hear how Augustine’s life was saturated with that sin and then how God transformed him. He is also consumed with the “pear tree” incident and sin which may help to awaken the truthfulness of sin, no matter how big or small, to younger family members. This would also be a valuable reading assignment for those home schoolers who are studying any type of theological history. St. Augustine was too influential not to read this book.